The Reservoir Dog returns for a fourth edition on Sun 02-Sept-2018. Everything you loved about last year’s event – and more! All funds raised are donated to the Blessington Tidy Towns and the Blessington Forum for local environmental enhancement projects. 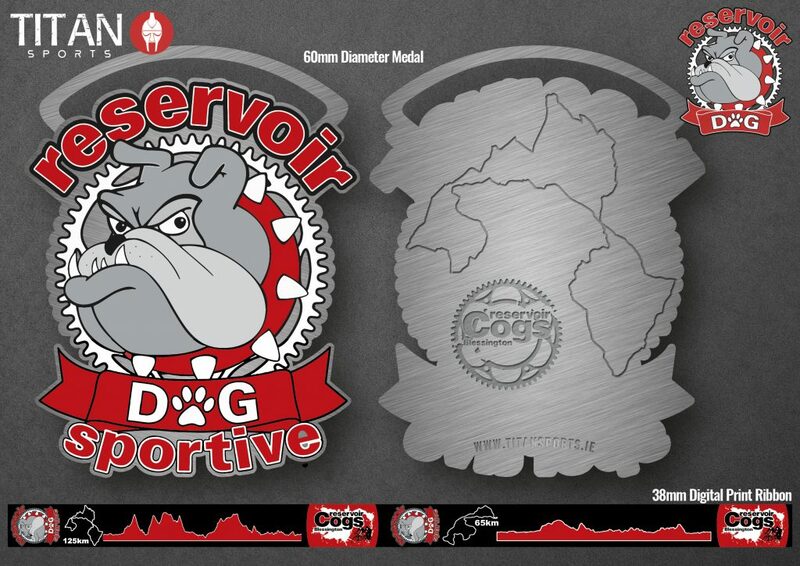 The Reservoir Dog Sportive is an environmentally sustainable event. The Reservoir Dog Sportive is a special event for the discerning Sportive rider. 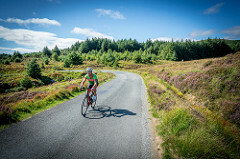 Our 125km route traverses the valleys and passes across the Wicklow mountain massif. We ride along quiet roads with spectacular scenery and challenging climbs. 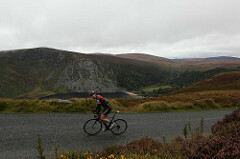 As well as the road less travelled we have included some of the classic & tough bike climbs in Ireland. Our 65km event takes in a scenic circuit of the Blessington Reservoir and introduces the rider to some hidden gems of roads. REGISTER FOR THE DOG HERE! Russborough House, our start and finish venue is an imposing Palladian mansion – an unrivalled visitor attraction in a stunningly beautiful setting. Proudly hosted by Reservoir Cogs Cycling Club. The event is open to people aged 16 or older. 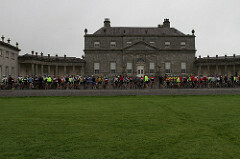 The event will get underway from Russborough House at 9:00am. Please see Route Information for further details. 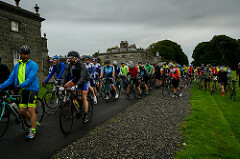 As this is a charity sportive, we are grateful of all the support we can get. We are asking for volunteers to help out during the run-up to the event, and on the day itself. Additionally we are seeking sponsorship from local businesses. Contact info@reservoircogs.ie to show your support.